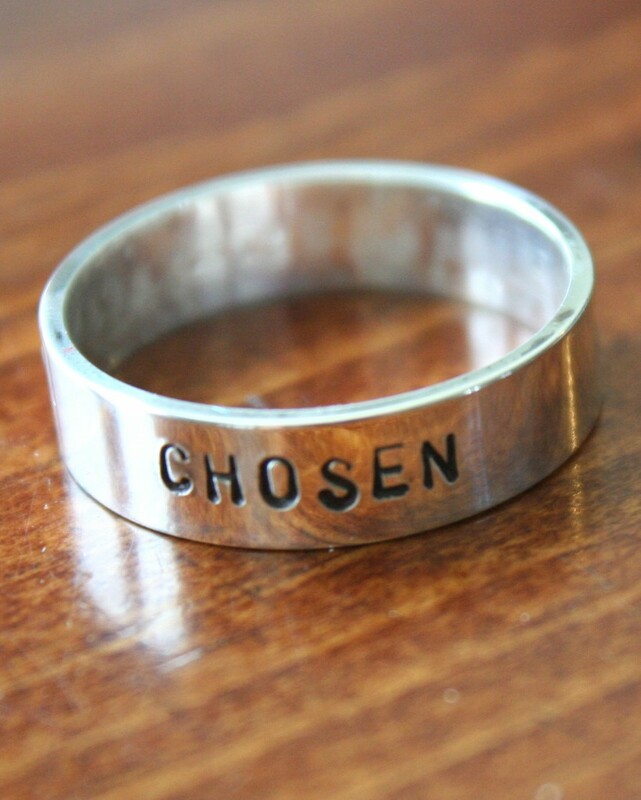 Custom message ring for him- personalize a father’s ring for a special dad, wedding anniversary ring or graduation ring with a name, date and meaningful phrase to create a keepsake gift to wear for years to come. Sterling silver hand stamped ring measures 6mm. Personalize with up to 30 characters. Unisex band available in sizes: 5, 6, 7, 8, 9, 10, 11, 12, 13, 14. Categories: Best Sellers, Dads & Grandpas, Hand Stamped Rings, Holiday Gift Ideas, Men's Gifts, Rings. 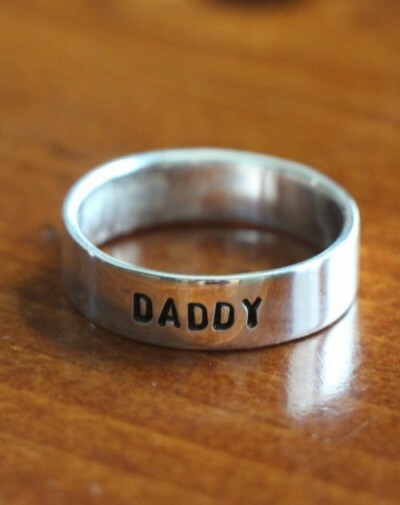 Tags: dad ring, daddy ring, fathers ring, personalized ring. Father’s Ring: Create a dad ring personalized with the names of children, last name or year of marriage. Wedding or Anniversary Ring: Create a couple’s ring and personalize with names and special dates. Graduation Gift: personalize with graduate’s name, school and year.